I am pretty excited about today's post. 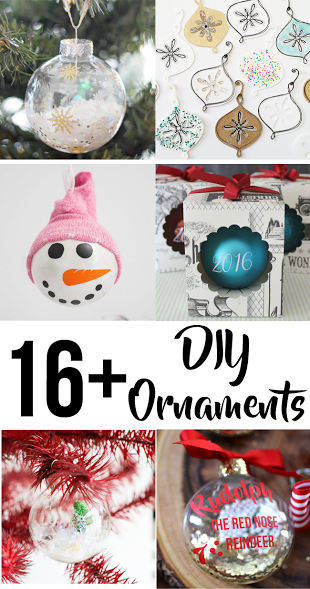 I have teamed up with some fellow bloggers to bring you an Ornament Blog Hop. Just in time for you to get crafty! I have been wanting to do something with the girl's silhouettes for some time and I thought this was the perfect opportunity. These were really pretty easy and don't take a lot of time to complete either. Here's how you can make some for you tree. 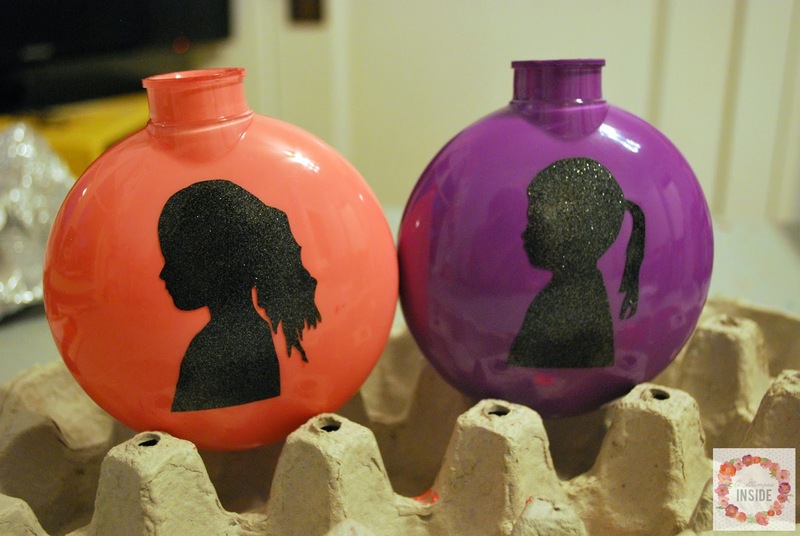 I began by filling my ornaments with acrylic paint and coating the entire insides. 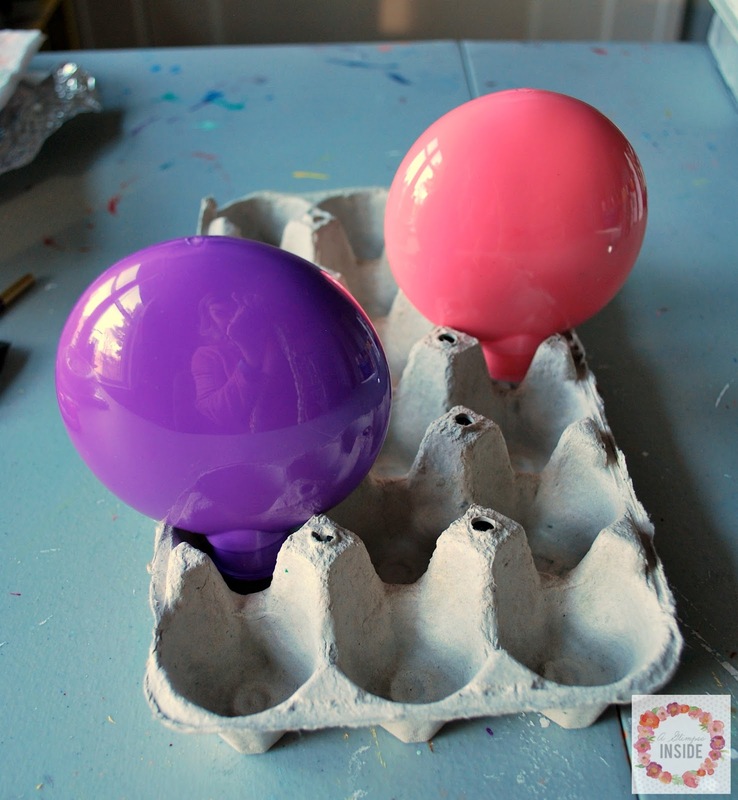 I then flipped them over on an old egg carton to drain the excess paint and let dry. You don't have to use paint. 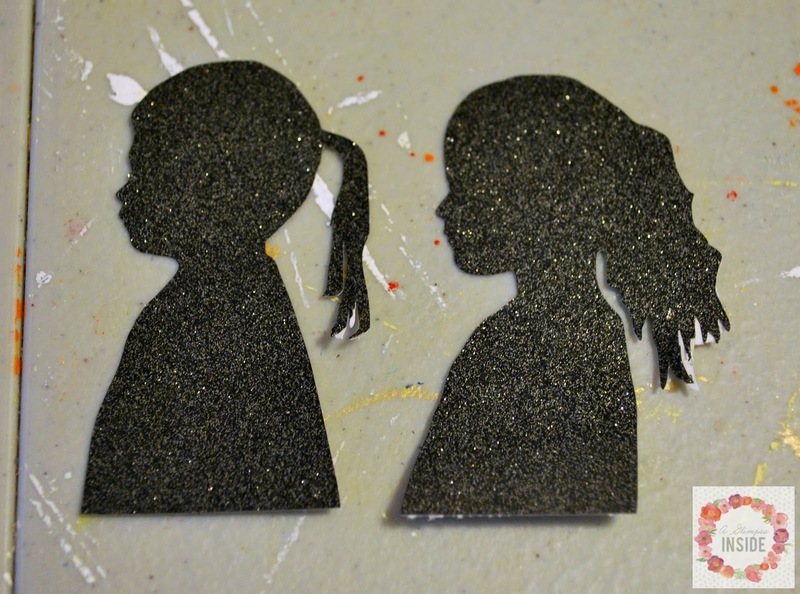 You can do glitter or a mixture of glitter and paint. 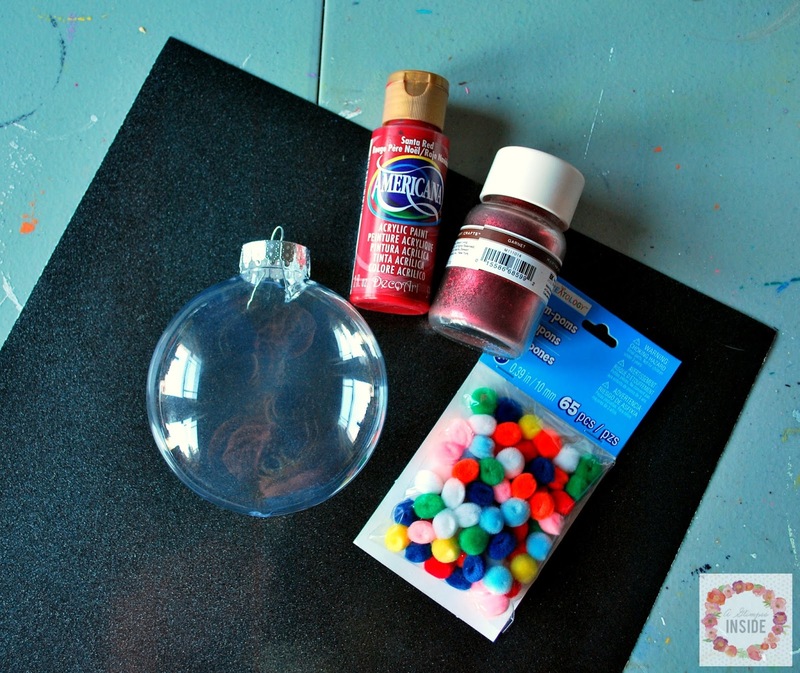 You can use pom-poms, buttons, beads, fake snow, whatever you'd like inside the ornament. I just chose to do paint and kept it a solid color so you could see the silhouettes clearly. 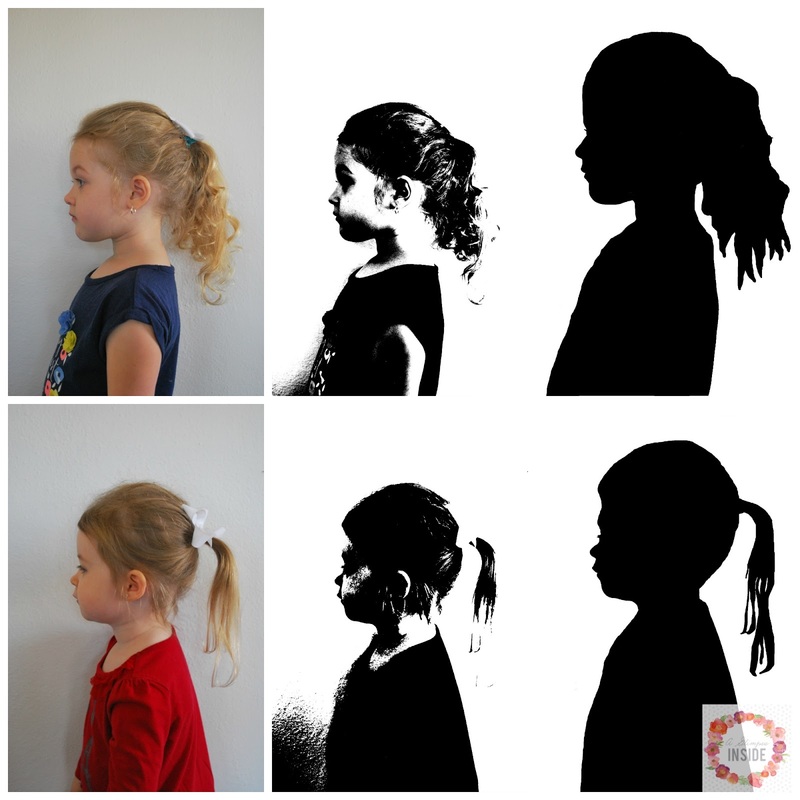 While your ornaments are drying, take the profile photos of your children. Tip: I suggest making sure they are in dark clothing because it helps when you edit it to the black and white version. Once I got the photos all set, I loaded them into my Silhouette software and converted the silhouettes to be a cut file. 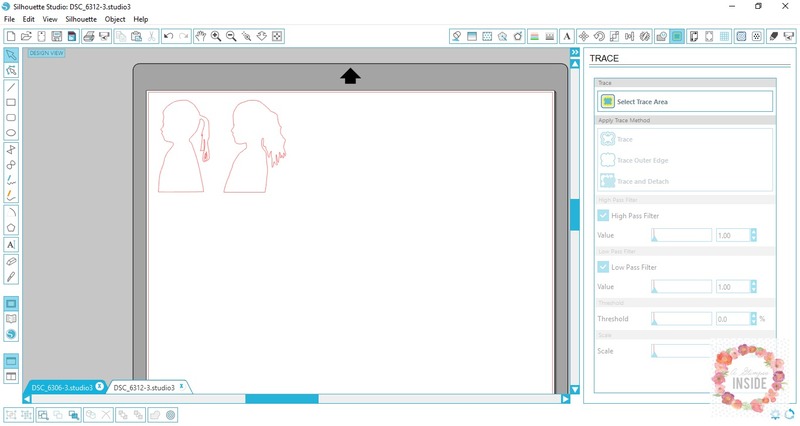 You can check out this tutorial on Silhouette to learn how to do this step if you aren't sure. It is so easy and I wish I knew earlier! You should be able to do this if you have a newer Cricut as well. 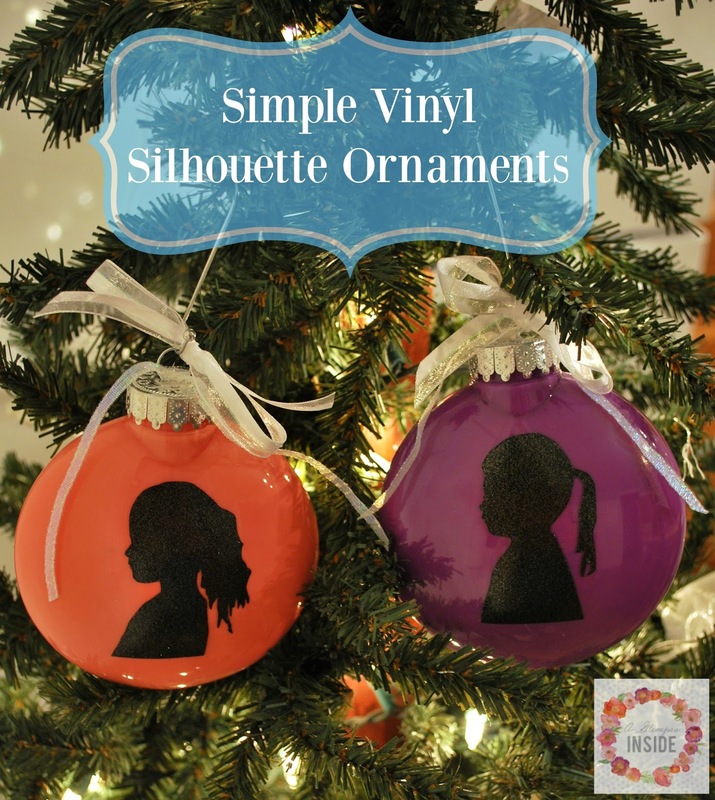 I sized down the silhouettes and cut them out on the black glitter vinyl. I carefully applied the silhouettes to the ornaments pressing down slowly starting at the head and working down the the hair and torso. I just smoothed it well with my fingers. 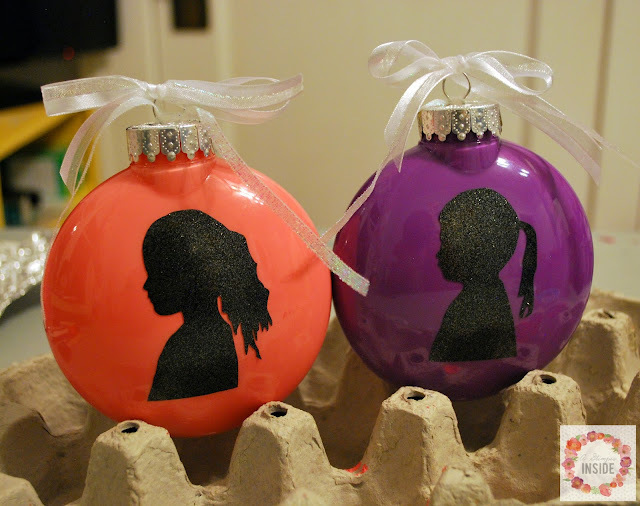 Next, tie some ribbon around the top of the ornament to dress them up a bit and that's it! I currently hung them on a small tree I had out but they will make their way to our large tree once that is fully set up. I do think I am going to add the year and maybe their names on the back but for now they are good! I now want to make all sorts of fun silhouettes of the girls! 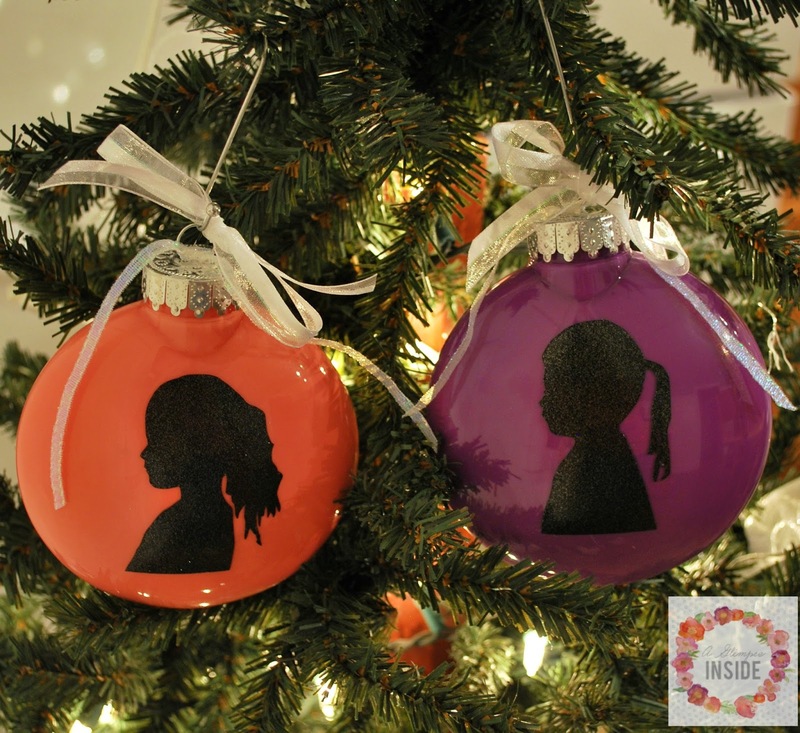 Be sure to check out all the other awesome ornaments!